Back in 1952 Gunnebo Industries launched the Coupling G-link. This invention changed the industry of lifting equipment. Prior to the G-link the standard wasto use all-welded chain slings, an expensive and time consuming process as each and every chain sling ordered had to be assembled in the chain factory. 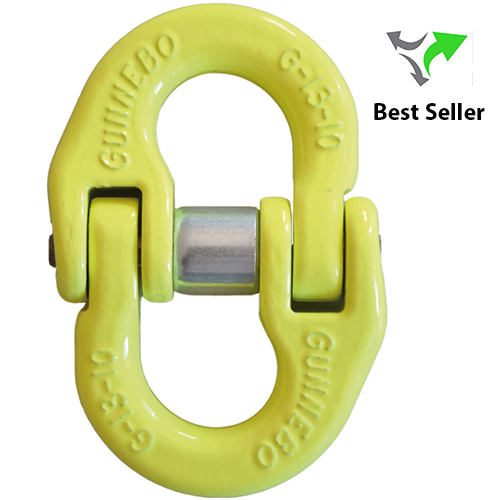 With the G-link chain slings could be assembled in local sling shops closer to customers, creating more effective and flexible processes. Besides a perfect design the G-link is equipped with a special pin retention system. The pin has a recession in the middle where the locking bush holding a helicoil shaped spring lies. 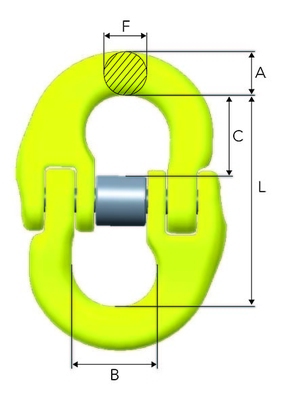 The design of the pin, spring, and bush guaranteessafe retention of the locking bush, in case the wire of the spring should break. Download the product information below for more information.